Mahindra & Mahindra is in the concluding phases of formulating its innovative electric car, which is expected to be named the new E2O (e-two-oh). Likely to hit roads by the coming month, the vehicle will be catered by a 29kilowatt (39.4bhp) electric motor and will make use of 48-volt compact lithium ion batteries. Previous proposals for rolling out a more low-priced lead acid battery fitted edition, it seems, have been postponed for the time being. What the auto giant is proposing to do however, in an attempt to turn ownership more low-priced, is lease the batteries, therefore making them a constituent of running expenditures. 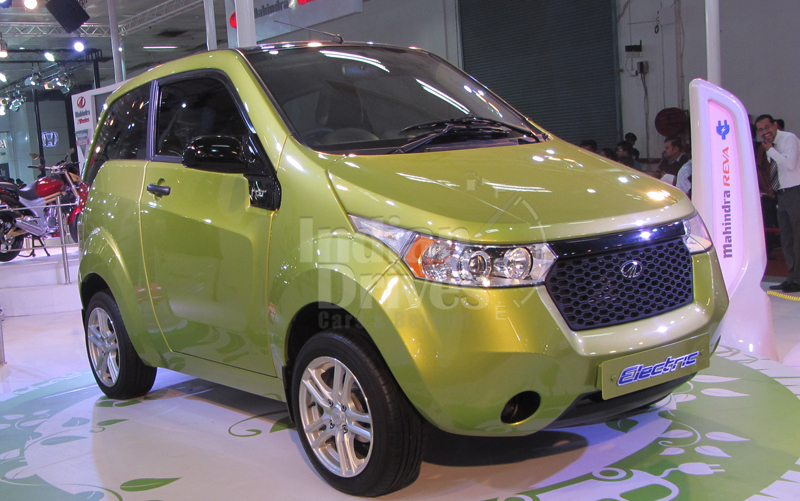 As per reports, the new E2O will cost approximately Rs 5.5-6 lakh. The E2O unit is also expected to bud other electric versions that will permit the auto giant to stretch the cost of the platform. The Mahindra auto manufacturer also said that it is anticipating pushing the vehicle via corporate sales. Firms, particularly eco-friendly ones, could rent out a large number of vehicles, offer charging points for their staff and aid maintain them in addition. The new E2O will also be M&M’s first vehicle to emerge out of the recently kicked off green facility at Bangalore. Mr. Pawan Goenka, president of the automotive division, stated that making investment in an electric vehicle venture makes financial sense. Fabricating an electric vehicle is economical than manufacturing vehicles with internal combustion engines and the cost of setting up a facility with a yearly capacitance of 6,000 units is not as lofty as that of a conventional vehicles plant. M&M has made an investment of about Rs 2,500 crore in the electric vehicle facility up till now.